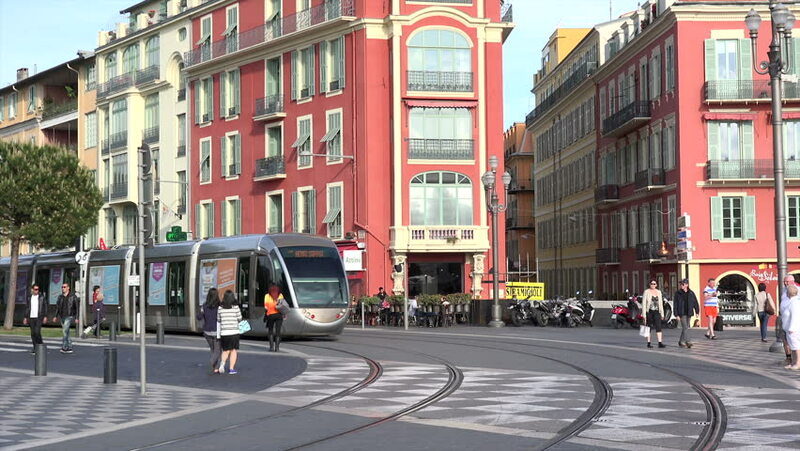 NICE, ALPS MARITIMES/FRANCE - APRIL 29, 2015: Unidentified people wait as tram passes Place Massena. The tramway system opened in 2007.
hd00:17LINCOLN, LINCOLNSHIRE-JUNE 17:Lincoln's Steep Hill (UK) on June 17, 2014. Looking down Steep Hill, a popular tourist street with up to 14% gradient with the Gothic Lincoln Cathedral it its top. 4k00:46Denver, Colorado, USA-January 4, 2018-POV-The National Western Stock Show Kick-Off Parade with marching bands, floats, horseback riders, cowboys, cowgirls and Longhorn cattle. hd00:28ISTANBUL, TURKEY - FEBRUARY 21: Daily life in a street of Istanbul on February 21, 2016 in Istanbul, Turkey.